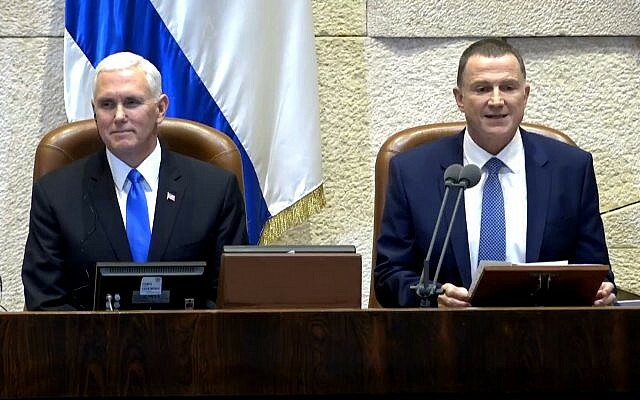 The US vice president’s address earned numerous standing ovations from Knesset members across the political spectrum, and saw Arab lawmakers ejected from the plenary after launching a protest over Washington’s recognition of Jerusalem as Israel’s capital on December 6. In his remarks, Pence emphatically stressed that Jerusalem is Israel’s capital. “Just last month, President Donald Trump made history. 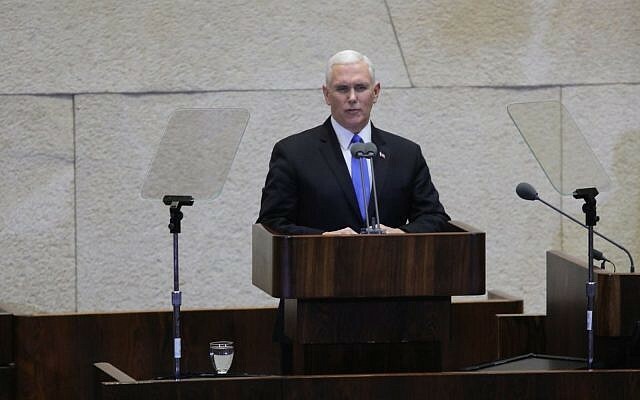 He righted a 70 year wrong, he kept his promise to the American people,” in announcing the recognition of Israel’s capital, said Pence, who is the first American vice president to address Israel’s parliament. “The US Embassy will open [in Jerusalem] before the end of next year,” said Pence. In an interview with Reuters days later, Trump disputed Netanyahu’s estimate. Trump is “fully committed to achieving a lasting peace between Israelis and Palestinians,” said Pence, reiterating that “if both sides agree, the United States will support a two-state solution,” to applause from the opposition. “Today, we strongly urge the Palestinian leadership to return to the table. 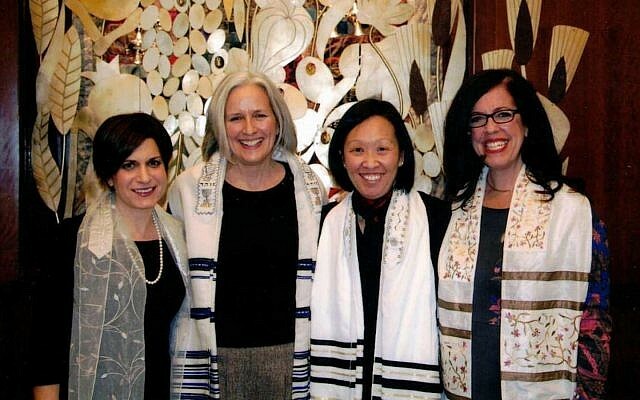 Peace can only come through dialogue,” declared Pence. “There are those who believe the world can’t change… but my friends, President Trump doesn’t believe it, I don’t believe it, and neither do you. 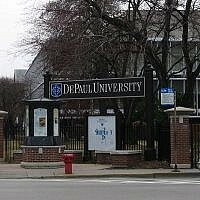 I stand here today in a city whose very name means peace,” said Pence. His speech came as Palestinian Authority President Mahmoud Abbas was speaking in Brussels, trying to persuade the European Union to recognize a Palestinian state. The US vice president also branded the Iran nuclear deal a “disaster,” that merely delays Tehran’s development of nuclear weapons. “The Iran nuclear deal is a disaster and the United States of America will no longer certify this ill-conceived agreement,” said the US vice president. Referring to a recent decision by Trump to extend a sanctions waiver as part of the nuclear deal, Pence said the extension was merely designed to buy time for the US Congress, “and our European allies,” in order to toughen penalties against the Islamic Republic. “This is the last time: Unless the Iran nuclear deal is fixed, President Trump, the United States will withdraw from the Iran nuclear deal immediately,” said Pence, to tremendous applause. The US vice president, in his remarks, also characterized ties between the US and Israel — as well as covert dialogue between Israel and Arab states — as unprecedented. “Thanks to the president’s leadership, the alliance between our two countries has never been stronger,” Pence said. Pence said he discussed the “remarkable transformation that is taking place across the Middle East today” with the leaders of Egypt and Jordan over the weekend. 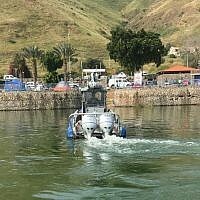 Descendants of Isaac and Ishmael are coming together in an unprecedented way, he said, alluding to growing covert cooperation between Israel and Sunni Arab nations. 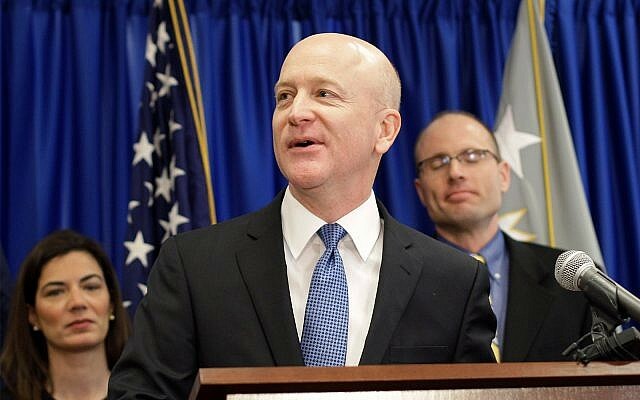 He also elicited thunderous approval from MKs when he recited the Shehecheyanu blessing on thanksgiving in Hebrew. The trip by Pence is the first by a major figure from the US since Trump recognized Jerusalem as Israel’s capital in a December 6 address. 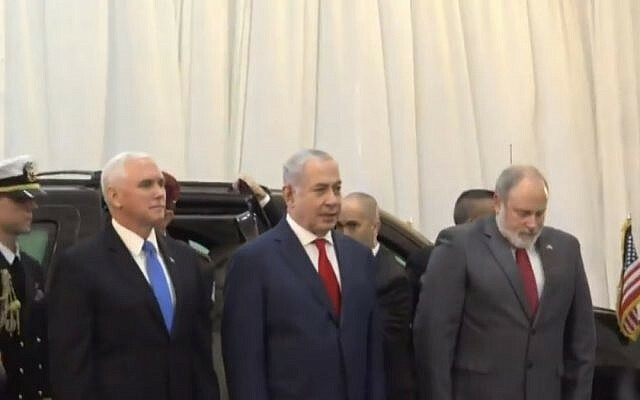 While Israel has feted Pence for the move, the Palestinians reacted furiously and are refusing to meet with the vice president, who arrived in the city Sunday night. The US vice president also skewered Iran for its pursuit of nuclear weapons, support for terrorist groups, and oppression of its citizens. “The United States of America will never allow Iran to acquire a nuclear weapon,” said Pence. “Beyond the nuclear deal, we will also no longer tolerate its support of terrorism” and oppression of its people, he said. 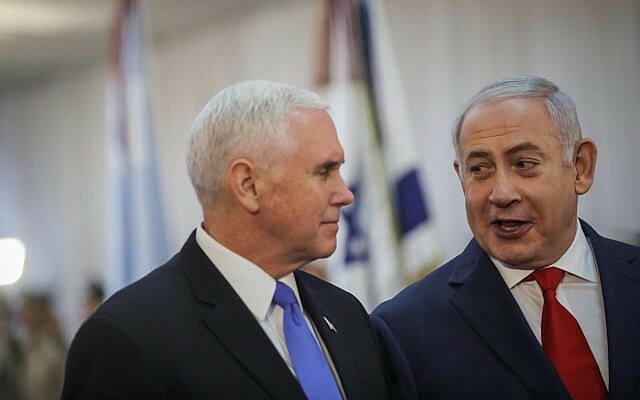 In his speech shortly before Pence’s address, Netanyahu said the Trump administration’s recognition of Jerusalem would be given a place in Israel’s history alongside the 1917 Balfour Declaration, the establishment of the state, and US President Harry S. Truman’s recognition. 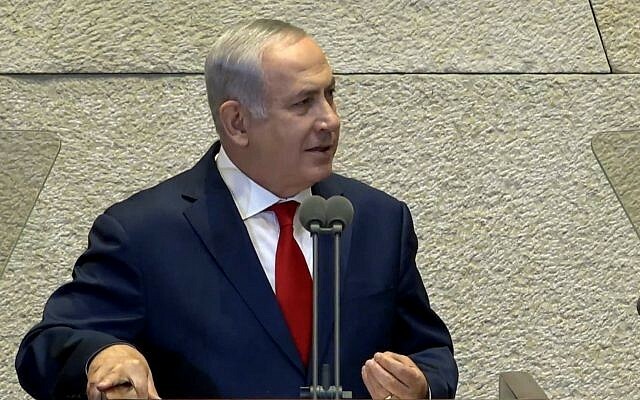 “On the matter of recognition of Jerusalem as our capital, I believe I speak for nearly all of us, coalition and opposition alike, when I express our deep appreciation for President Trump and you for the historic statement that will never be forgotten,” said Netanyahu. 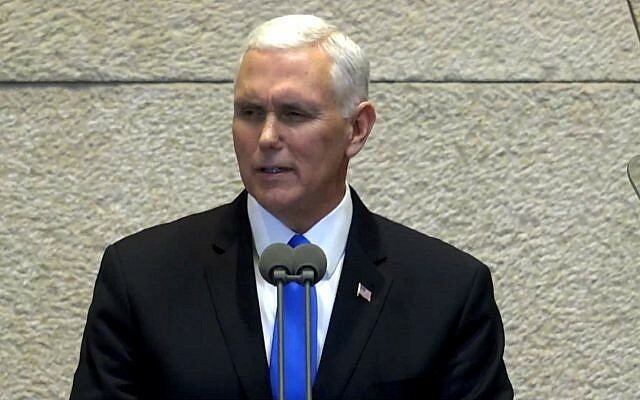 “It’s fitting that you are the first American vice president to speak at the Knesset in Jerusalem. 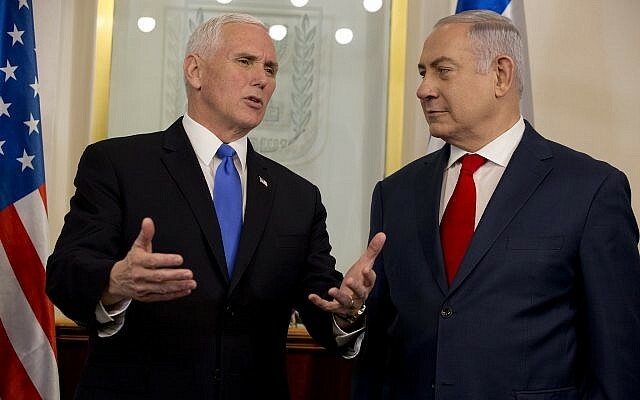 Fitting because no American vice president has had a greater commitment to Israel and its people,” said the prime minister. Also speaking ahead of Pence was opposition leader Isaac Herzog, who did not meet with the US vice president separately. He urged the US to “dream big” and seek “new and original” approaches to peace in the region. “The countries of region are ready for it,” said Herzog. “Many in this hall, and most of the people of Israel, understand the urgency and the need to move ahead with a political separation from the Palestinians,” Herzog added, warning of the “disastrous” situation should Israel become a binational state.